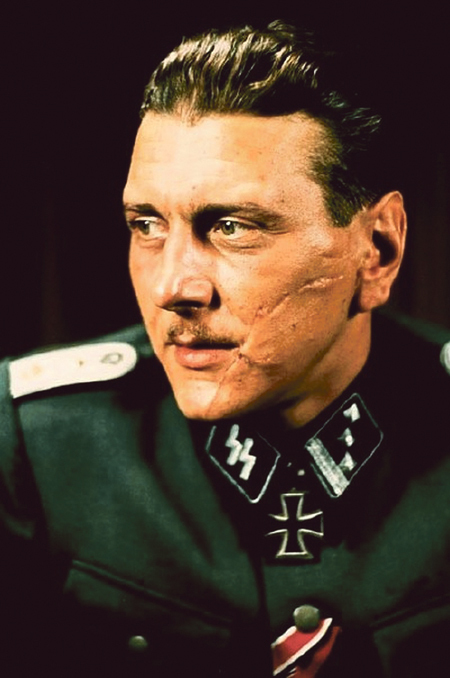 Otto Skorzeny, the chief villain in Stuart Neville’s new novel Ratlines. FORMER NAZIS and Nazi collaborators resident in Ireland are being taken out one by one by an enigmatic hit squad, but this is a only a warning to the man they are really after - SS-Obersturmbannführer Otto Skorzeny. Skorzeny, the man who helped ‘liberate’ Mussolini, is living in Ireland, enjoying the life of a well to do country squire and ‘man about town’ in Dublin and Kildare. However he is concerned for his security. The Minister for Justice, Charles J Haughey, calls on the Irish secret service’s best man, Albert Ryan, to track down the killers. Ryan, deeply uncomfortable with having to protect someone like Skorzeny, finds this is only the tip of a particularly dark and nasty iceberg. This is Ratlines, the brilliant new novel from the acclaimed County Armagh crime-writer Stuart Neville, who is coming to Galway later this month as part of the Cúirt International Festival of literature. Set in Ireland in 1963, in the run up to US president John F Kennedy’s State visit, Ratlines is Neville’s fourth novel, following the Los Angeles Times Book Prize winning The Twelve, and the critically praised Collusion and Stolen Souls. Ratlines is a departure for Neville in that it takes his writing into the realms of the spy novel and historical fiction. “Crime fiction tends to be compartmentalised into noir, historical fiction, police procedural - within the box of crime fiction, there are further boxes,” Neville tells me during our Monday morning conversation, “so it was very much a departure and in terms of research, a very different experience. Setting a novel in the present day you tend to only need to examine the mechanics of how things work, like a particular type of gun, or what the effects of a certain kind of wound are, it’s nuts and bolts research. Ratlines abounds with strong, memorable, characters - the feisty and liberated Celia; the corrupt Mossad agent Weiss; the tragic, idealistic, Catherine Beauchamp; and the sadistic, yet inwardly vulnerable Celestin Laine - but Irish readers will find Neville’s portrayal of Charles Haughey as unforgettable as it is entertaining. Readers will recognise and enjoy Neville’s knowing references to Haughey’s “hawk like glare” - that famous stare which often left opponents cowering before him, and the frequent use of the term “Big fella” - most famously made to Ben Dunne decades later in his career. Albert Ryan, Ratlines’ main character, however is, fittingly, the book’s most compelling figure. Driven by a strong sense of duty and a ruthless streak that is not afraid to get very dirty, he also possesses a sense of morality and sensitivity, questioning the ethics of finding himself working both with and against former Nazis, ex-British army mercenaries, Irish Government ministers, and Mossad agents. That Ryan, a Presbyterian from County Monaghan, also served in the British army, creates further layers to the character - a means of exploring the way the State reacted to Irishmen who fought in WWII and a way to show that Irish identity is not a monolith, but has many differing forms. The novel makes clear that Ryan enlisted to fight because he was a young man, bored with small town life and looking for adventure - as most of the Irish who fought in WWII were - yet 18 years after the war, he is continually accused of being pro-British and unionist, which he never comes across as. “If you go in making those points you’ll come across as lecturing,” says Neville. “So it wasn’t done consciously, but it was something that developed. It comes from my tendency to create characters who feel out of place with their society, at odds with the world around him. One particular surrounding Galway readers will enjoy is Ratlines opening scene - set in Salthill. Neville hopes to write more novels featuring Albert Ryan and Charles Haughey, but says they will be some time away owing to the research needed. “I may look at episodes in Haughey’s colourful career and how Albert Ryan could be in the background,” he says.